This lessons series is here to help you improve your playing and will also give you an idea of what you can expect from the courses at DIME ONLINE. Hi everyone – I’m Paul Elliott, and it’s my pleasure to be able to bring you a new lesson this month that covers one approach to linear playing. In this session, we will look at a linear exercise to develop the concept of playing in-between the bass drum and snare drum notes. The focus for this is more groove-based than fills or phrases. It’s my hope that this simple exercise will bring new ways of approaching some of your familiar patterns and get you experimenting with different sounds. 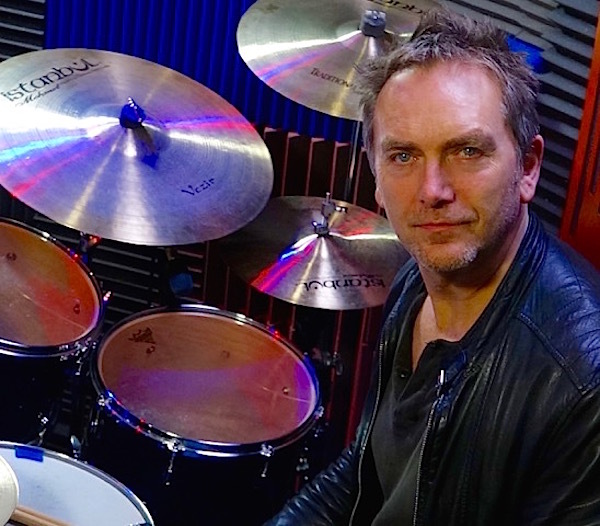 I hope you enjoy it – let me know if I can answer any questions or be of further help; you can get in touch by contacting me through the DIME ONLINE site (https://dime-online.org/ ) or my own site (https://www.paulelliottdrums.com/ ). Thanks and look forward to hearing from you!